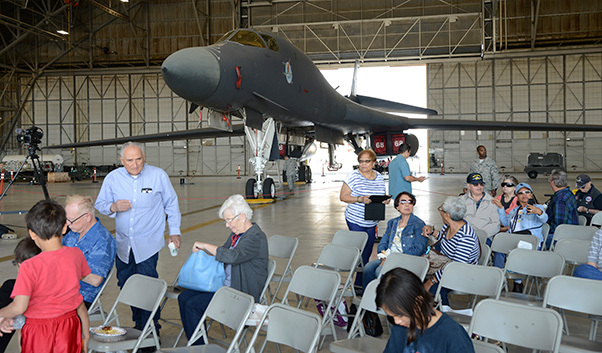 The 2018 Military Retiree Appreciation Day took place in Hangar 1210 with a B-1 Lancer on display for the event this year. Military retirees and their guests visited Hangar 1210 at Edwards Air Force Base, Calif., for the annual Retiree Appreciation Day May 19, 2018. Participants had the opportunity to learn about programs and services available to all military retirees. Tables with information covering topics such as dental offices, Aetna healthcare, federal long-term care insurance, home senior care and community programs were provided. Robert Kirkland, retired Air Force, came to the event looking for updates on benefits offered by the Veteran Administration and Tricare. The guests were treated to breakfast provided by community leaders who volunteered their time to serve the military and retirees. There was live entertainment to enjoy and flight line tours were also offered throughout the day. Brig. Gen. Carl Schaefer, 412th Test Wing commander, thanked veterans and family members for their service at the 2018 Military Retiree Appreciation Day May 19, 2018. During opening remarks, Brig. Gen. Carl Schaefer, 412th Test Wing commander, thanked and recognized veterans of each war. The keynote speaker for the event was retired U.S. Navy Capt. Paul Frost. He spoke about the military coalition’s fight for retiree benefits. The Edwards commissary donated food items for retirees to take home and enjoy. 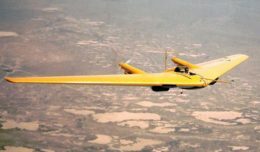 The yearly event demonstrates the appreciation Edwards AFB has for retirees and their families as well as provide valuable information for the local retiree community. Gary Niswonger, Edwards AFB director of Retiree Activities, believes the event went really smoothly and was enjoyed by all retirees.